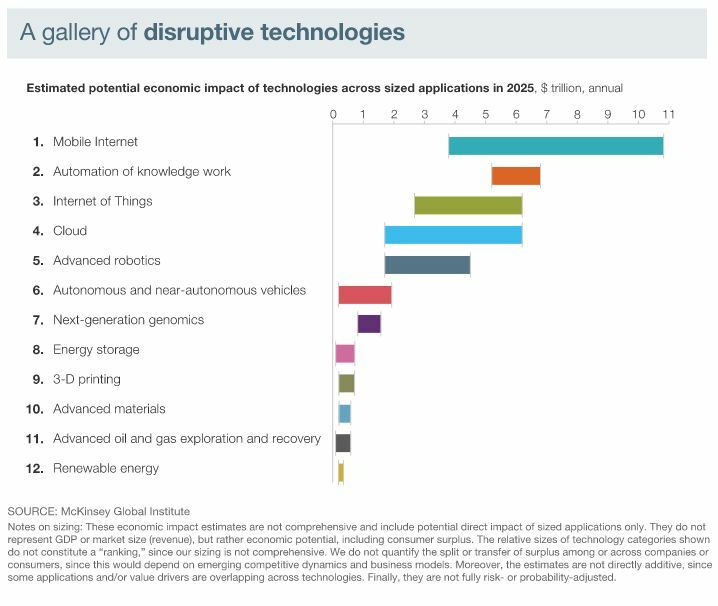 McKinsey & Company have brought out a new report on what they think the disruptive techs will be over the coming years. Some of these will impact out built environment in ways we can’t yet imagine. But as a ‘property prepper’ I am going to spend the next couple of weeks contemplating and imagining how these disruptions could change what we currently see as our ‘property industry’.